I was recently asked to speak at the Reve Reflect event on the topic of “Invention”. They purposefully left it open ended as ( in their words ), “wanted the presenters to keep an eye on the creative process of inventing something, rather than the broad term of Innovation”. After speaking that evening on just a few of the many creative inventions we collectively have built at Lab 651, I wanted to share how using Internet of Things ( IoT ) technology has enabled us to create inventions that change the world. As part of my talk I outlined “3 truths” that I have learned over the course of time and believe are required when inventing something. 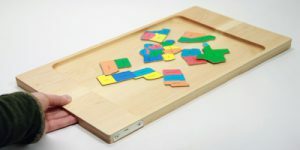 A smart tray that contained sensors and electronics. A small electronic sensor that went in the slippers of the students. A small electronic sensor that the teacher carried in their pocket. A mobile application to push that data to a central server for analysis every night. With these components, the classroom immediately became intelligent with parents and teachers using data captured to understand what lessons were being studied, what students were together and where the teacher was in the classroom. Fascinating data is already being gleaned by Wildflower Schools by looking at the classroom differently. Invention for the sake of invention is a zero-sum game. How do you know if what you invented actually does what it says it should? Here at Lab 651, we are always not only building, but field testing new products before they go into the market. For this example, I talked about a product the team here at Lab 651 built and my co-founder Rod Landers is one of the inventors of called SkyShepherd. The product is a dog collar that uses GPS to track dogs and keep them inside a boundary that the owner can define. The technology has applications in a number of different areas. With my connections to the University of Saint Thomas, I brought in a number of graduate level engineering students and other team members from Lab 651 to take the device into the field and do extensive testing. We generated millions of data points, over multiple seasons and various terrains and were able to statistically prove that the invention worked flawlessly. Doing the data analysis of any invention is a key component of the service that we offer at Lab 651. When inventions that use new technology come to market, they often can be used in ways that aren’t the right application. In the case of Beacons, I believe this is true. The use case that has been touted by many industry professionals is focused on retail. The story goes that a company would be able to use a Beacon to push coupons or other deals to consumers via their mobile phone when they are in or nearby the store. What if instead we used Beacon technology to push information at a critical point in the time that could save lives? 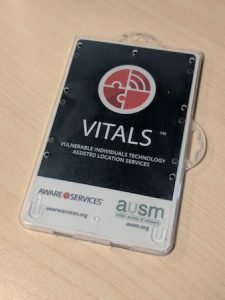 One of our customers, VITALS, is doing just that. Individuals that have Autism for instance can be misunderstood when approached by law enforcement as being on drugs, drunk or resisting commands, when they are just scared and don’t know how to respond. What if the police officer had information on the individual regarding triggers and de-escalation techniques for the individual during this critical time? This is a prime example of using technology that was invented many years ago for what might have seemed one use case, but is now being implemented in way that is far more impactful on our lives. Invention is the culmination of great ideas that have been shared with others and evolved over time. You can’t be inventive if you don’t share and discuss your inventions with others. Through our experience and background at Lab 651 we foster an environment where invention and innovation are not only dreamed, but delivered. Contact us if you are interested discussing how we can bring our countless years of experience and invention to your project.